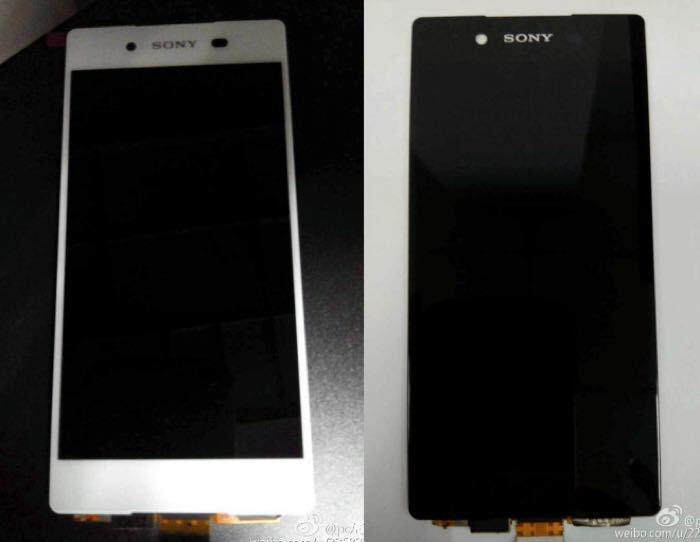 Is This A Front Panel From The New Sony Xperia Z4? We have been hearing a number of rumors about the new Sony Xperia Z4 smartphone, the handset may be made official at Mobile World Congress in early March, and now a new photo has turned up. The photo above is allegedly of the front panels for the new Sony Xperia Z4 smartphones, as you can see from the picture, there are two colors, black and white, although there could be more color options at launch. The Sony Xperia Z4 is rumored to feature a 5.2 inch display, that will have a Quad HD resolution of 2560 x 1440 pixels. We pretty much know that the handset will be powered by the new eight core 64-bit Qualcomm Snapdragon 810 processor and the handset is also rumored to come with 4GB of RAM. Other rumored specifications on the device include a new Sony Exmor RS camera, Sony’s current Exmor RS sensor is a 20.7 megapixel version but the new module is said to feature a 22 megapixel sensor. The handset is expected to launch with Android 5.0 Lollipop, and there are also other rumored version of the device which will include a larger Z4 Ultra and a Z4 Compact. We will have full information on all of Sony’s new smartphones when they are made official at Mobile World Congress next month.